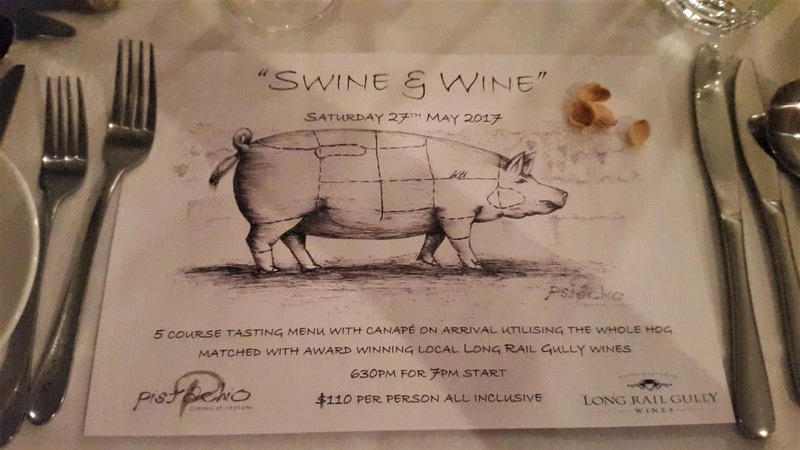 Head Chef and owner of Pistachio Dining, Dave Keeley tells us it has been a few years since they have held an event such as this; a degustation menu paired with local wines. Saturday night saw Dave host a five course event utilising ‘nose to tail’ of a pig, paired with Long Rail Gully wines. 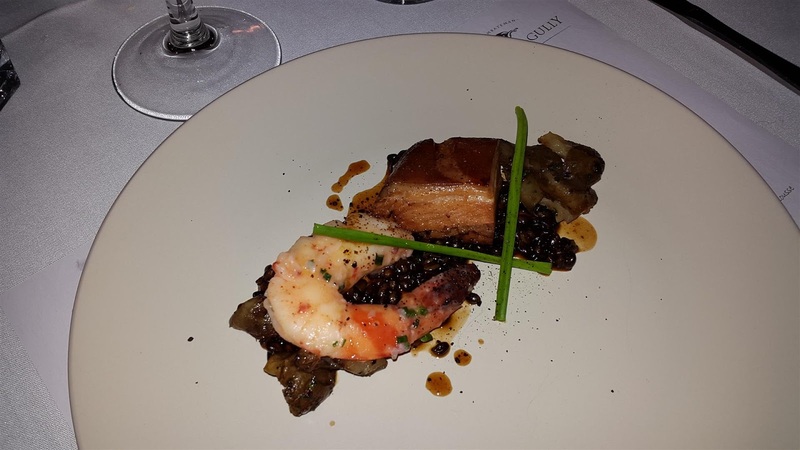 It was titled the “Swine & Wine” event. 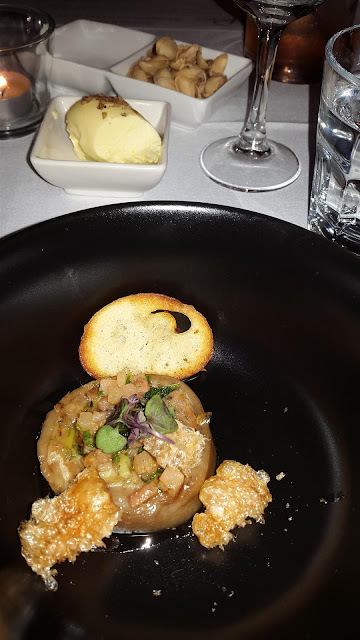 The canape starter was pig trotter and potato ballontine with black truffle oil, smoked bacon, crispy sage, crouton and dehydrated crackle. 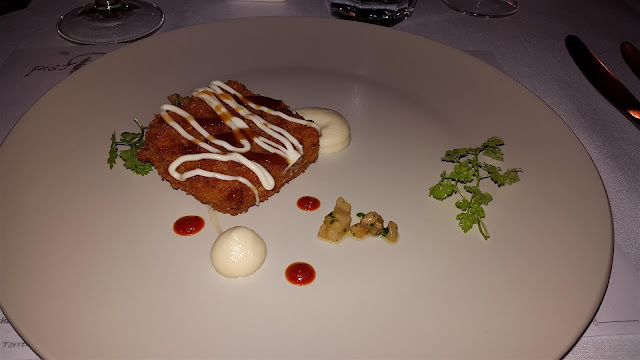 First course was a croquette made from the flesh of the pig’s head, celeriac, a couple of drops of hot sriracha, kewpie mayonnaise, BBQ sauce, panko breadcrumbs and katsuobushi. 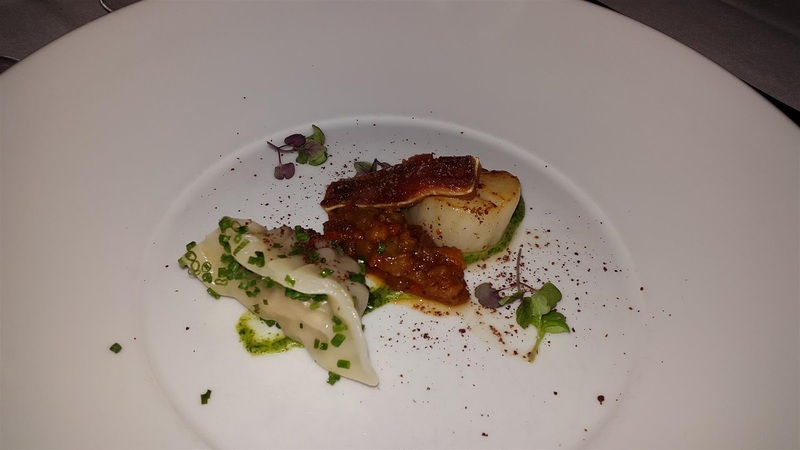 Second course saw a seared scallop, with a pork neck & chive gyoza, parsley puree, sesame, crispy pigs ear, roasted capsicum sauce, sumac and micro herbs. Third course was braised pork belly, an enormous butter poached king prawn, black barley, zucchini, local black garlic, Jerusalem artichoke and herb oil. 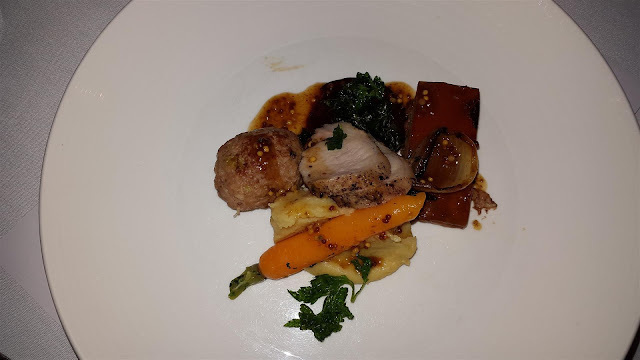 The fourth course was like a mini roast plate consisting of pressed pork leg, pepper crusted loin, smoked potato (so good!) baby beetroot, cabbage dumpling, carrot (that cut like butter) seeded mustard sauce and caramelised onion. 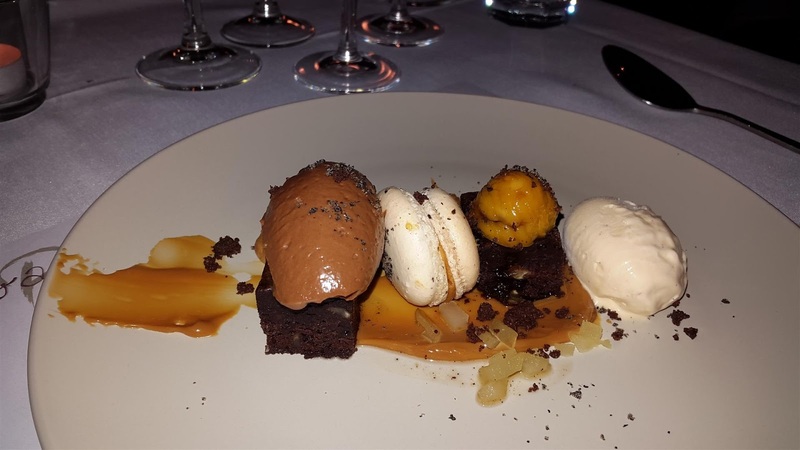 The dessert offering was similar to one of Dave’s menu tasting plates, but tonight it contained; chocolate and chestnut pudding, black sesame macaron, maple bacon ice cream (unreal!) condensed milk, pear, botrytis, and velvety smooth dark chocolate mousse. The cost was only $110 per head for all this deliciousness, which was great value. My friends and I were paying guests. Pistachio Dining is open for dinner Tuesday to Saturday. Oh my, what an incredible feast! I just loved the drawing of the swine! Says it all. Quite a decadent indulgence indeed Serina. That drawing was adorable.